I ordered 5 kg and I received various pieces from small to large, perfect for my needs. Stones arrived quickly and safely, each one wrapped in paper so as to avoid damage. Overall very happy with the quality and the service, definitely recommended! This Dragon stones are really eyecatchers in every tank. I bought 2 kg and I'm satisfied. Just one little thing...I hoped that I will recieve one big stone and a few little stones but in my package was few mid-sized stones and few little ones. 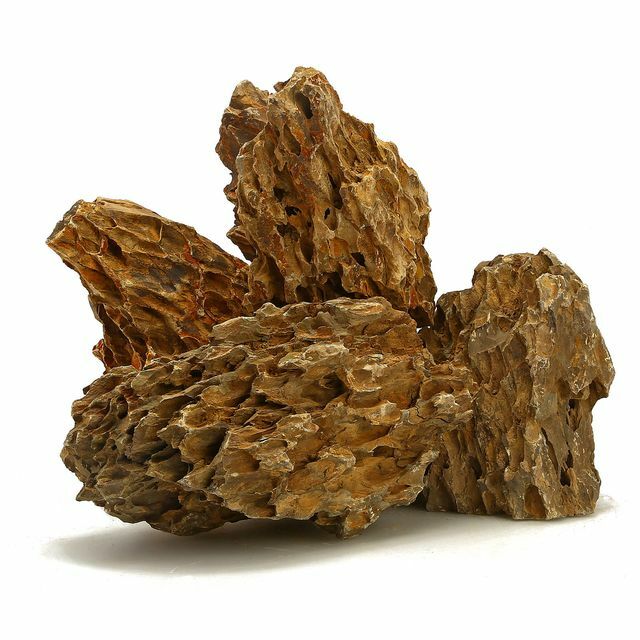 Anyway its a great stone for aquascaping. The stones arrived safely, well packaged so they were not damaged during transport. The stones were big (great for aquascaping) and generally same colored. Only 1 stone did not fit inline with the rest. Top quality, it can be ordered without worry.